Answer the call to dance with the wild. Slip off the beaten path and into the mystical wilderness. Find the untamed beast in your character and release it into your campaigns. Discover new races wild and fantastic, new nature-based classes, new spells and invocations, and a host of creatures mundane and wondrous. 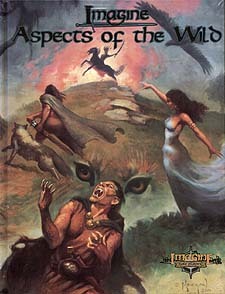 Enrich your world - add Aspects of the Wild to your Imagine Role Playing experience.